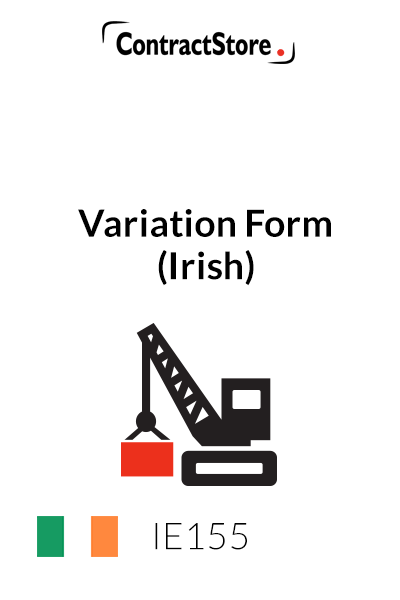 This Variation Form or Variation Order is used to record changes that are agreed during the course of a building contract . It is important to have a written record of all changes, both with regard to scope of work and cost as well as anyy change to the agreed completion date. This form is simple and easy to complete. It contains a description of the change plus the cost and time implications. The form has space for the contract price and completion date to be adjusted. A fresh copy of the Variation Form should be used for each change. This Variation Form or Variation Order is for use with a construction contract or contract for any building or engineering work. It is very easy to fill in and it acts as a documentary record of any change that is made to the work. It contains a description of the change plus the cost and time implications. 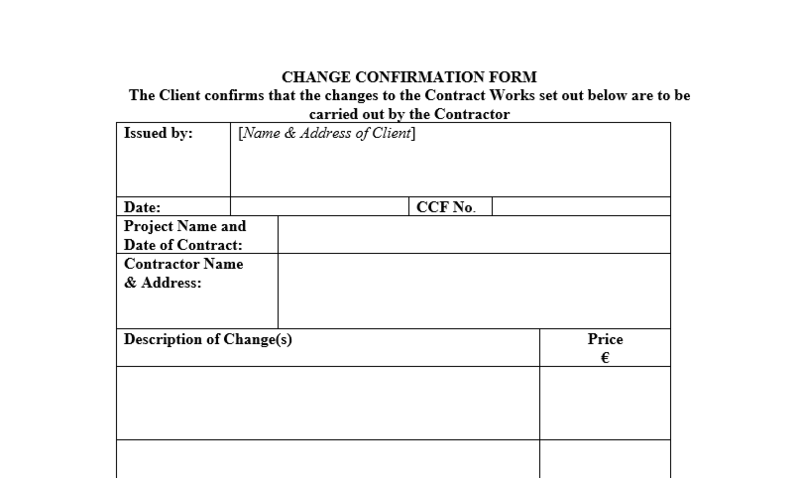 The form has space for the contract price and completion date to be adjusted. A fresh copy of the form should be used for each change.